The Arrogance of Feeling "Less Than"
I'm excited to share with you a dear friend. 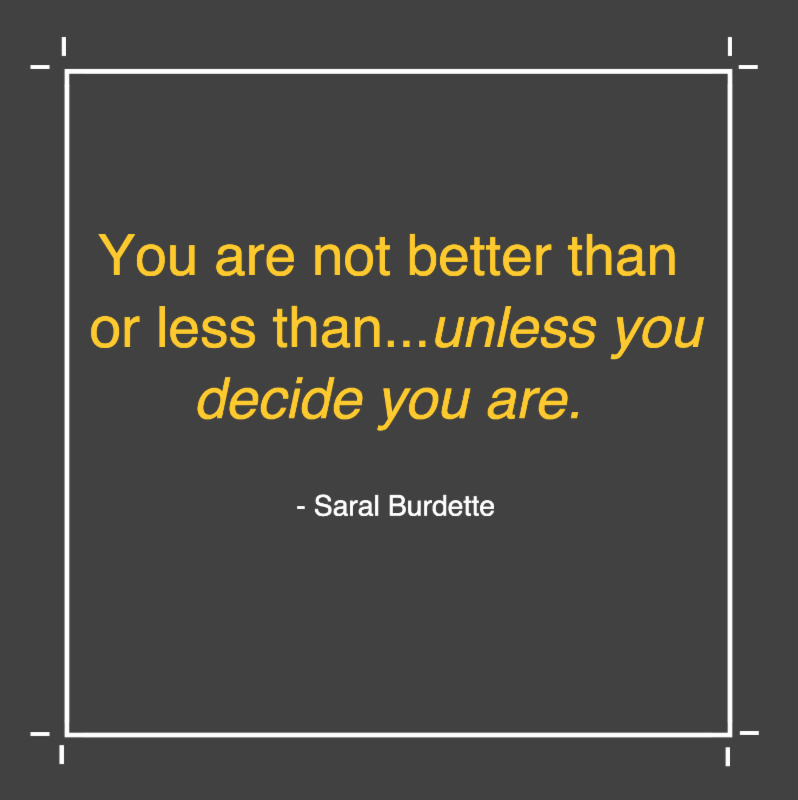 Many of you already know Saral Burdette through listening to our Fearless Practice audio tracks. I'm happy to tell you that there are more tracks in the works....coming soon! In these audio tracks (and the text below) she shares wise words about topics we have discussed to great length. I have found myself discussing the topic of harsh self criticism a lot this week, so here are a few ideas to help you with this all-too-common lack of Loving Well. Just fyi, I make the quote-graphics in my newsletters so you can use them on your phone screen, or put them in your instrument case, your desktop, your locker, or your bathroom wall...and your Facebook wall. Please enjoy this transcription of our audio track titled, "Self-Criticism". Not too long ago I did a fearless performance workshop for musicians with Jeff and I was honestly shocked at the level of criticism, really harsh self-criticism, that almost every musician in the group had. I just couldn't understand, when they got up and played so beautifully, that they struggled, so many of them just struggled, to say one good thing about some part of what they had played. They couldn't hear the beauty they had created. It was heartbreaking. ...and how many of them had parents or teachers who had told them they just didn't measure up, that they just weren't good enough, and how that had become a sort of mantra in their brain. That nothing they played was good enough. Once a teacher of mine told me that the depths of my own self-criticism, the extent to which I saw myself as so much less than others, made me one of the most arrogant people he had ever met. My jaw dropped. Huh? Me? Arrogant? I feel like a toad. 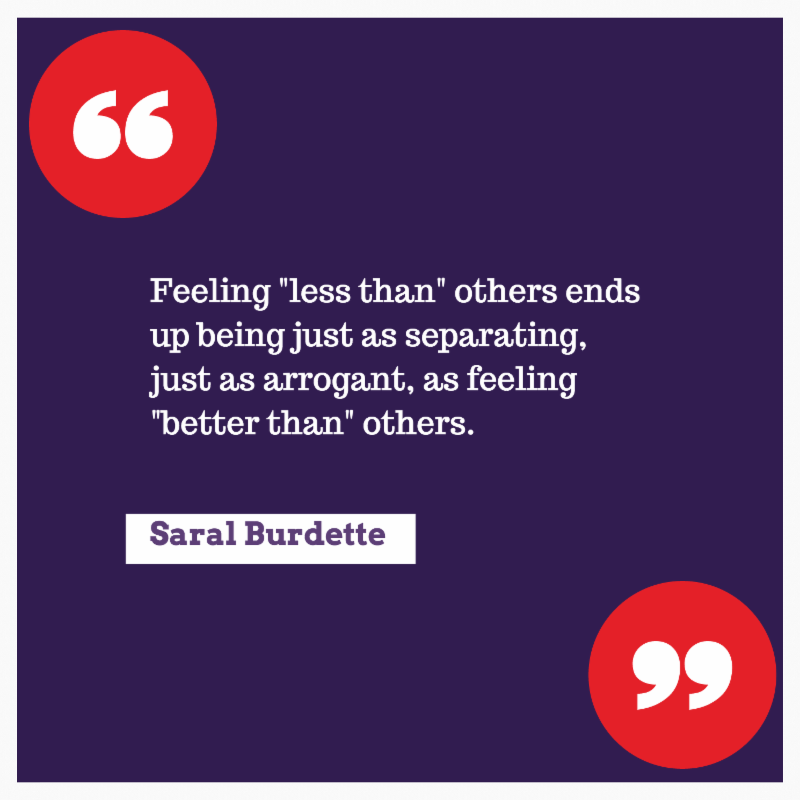 But what he eventually got me to see was that feeling "less than" others, ends up being just as separating, just as arrogant, as feeling "better than" others. When YOU feel less than others, when you think: "I am the worst. I am less than the others," you are being arrogant. You are not better than or less than...unless you decide you are. Oh...what you just played on your horn may be of a lesser quality, but that just means you need to attend to it, to make it better for next time. Being kindly critical, unemotionally realistically critical of a product, is entirely different than being harshly self-critical. One is constructive and one and is a giant waste of time and energy. Once, a young woman asked the mystical poet Hafiz, "What is a sign of someone knowing God?" 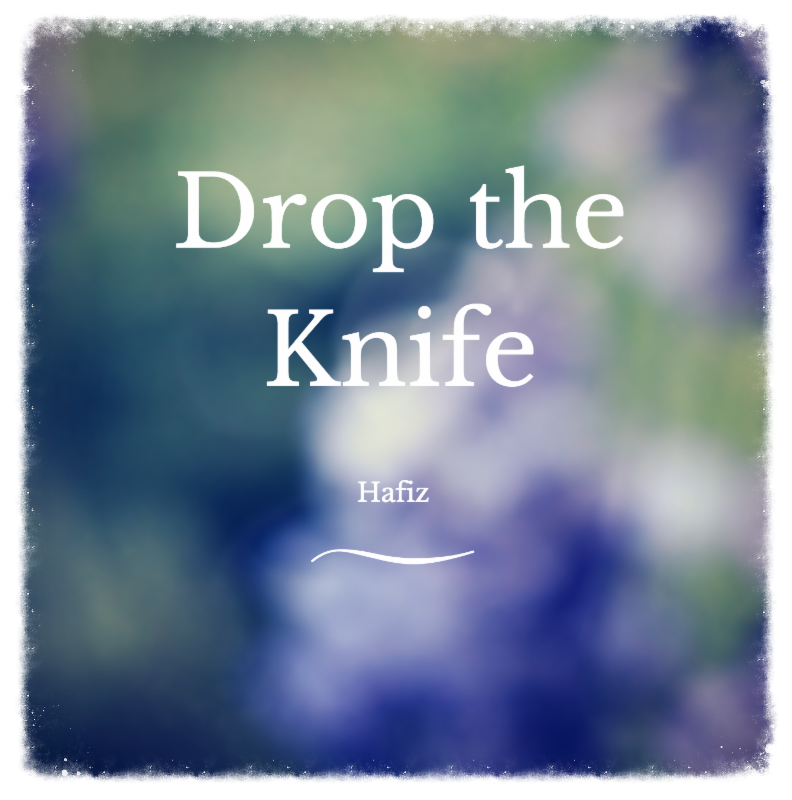 Hafiz remained silent for a few moments and he looked deeply into the young person's eyes, then he said, "My dear, they have dropped the knife. The cruel knife so often used against their tender selves and others." Task for the Day - Drop the Knife. Develop the habit of noticing harsh self-critique, pausing, and dropping the knife. Jeff told me in the practice room one of his strengths is that he rarely says, "Ohhh that was bad." But rather he says "Ohhh wow... that note sure was off!!" It sounded to me like he was almost delighting in playing badly. That he almost relished it. I asked him about this, and he said, "Yes! I need to, because that's how I improve, by noticing what I can make better, what I can make more beautiful. That's how we get to where we want to be!" I think Jeff's playful approach serves him well. You're not there to be perfect, but rather to experiment, discover, and grow. There's a reason they call it "playing music". James Joyce said; "Man makes no mistakes. His errs are volitional and are portals to discovery." What are you going to discover today?